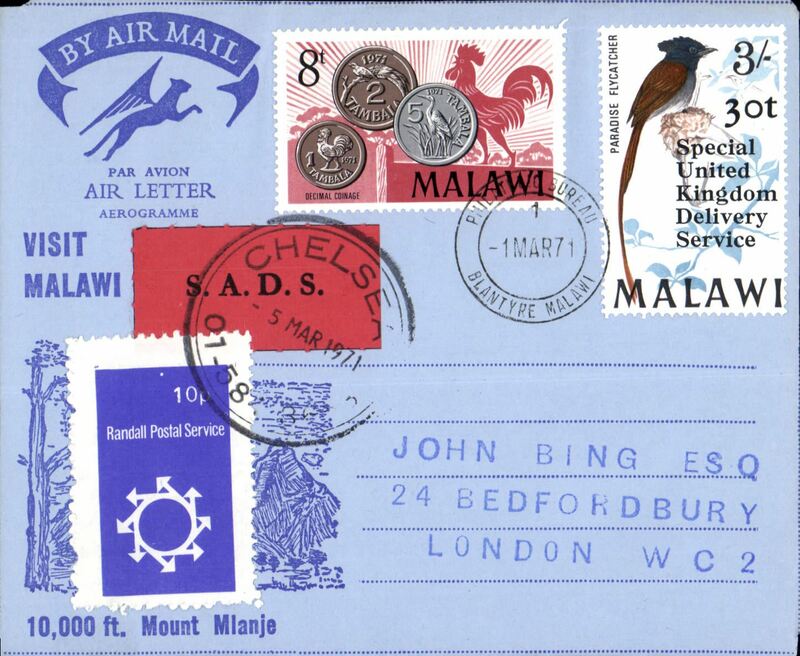 Blantyre to Chelsea, large 5/3 receiver cds tying red/black S.A.D.S and blue/white 'Randall Postal Service' labels, 'Visit malawi' air letter franked 38t. Attractive. Image.